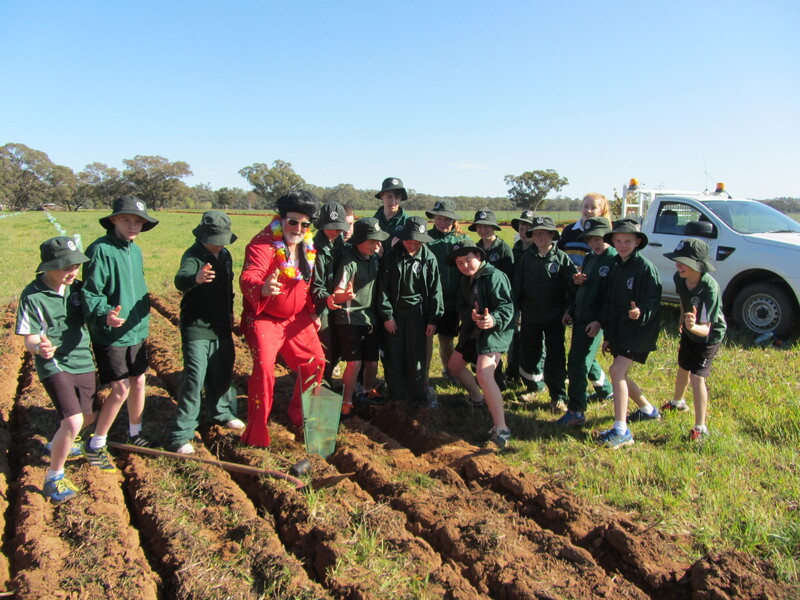 Thank you to our Landcare members for sharing a slice of Landcare with us during January. We had heaps of positive feedback about your stories. 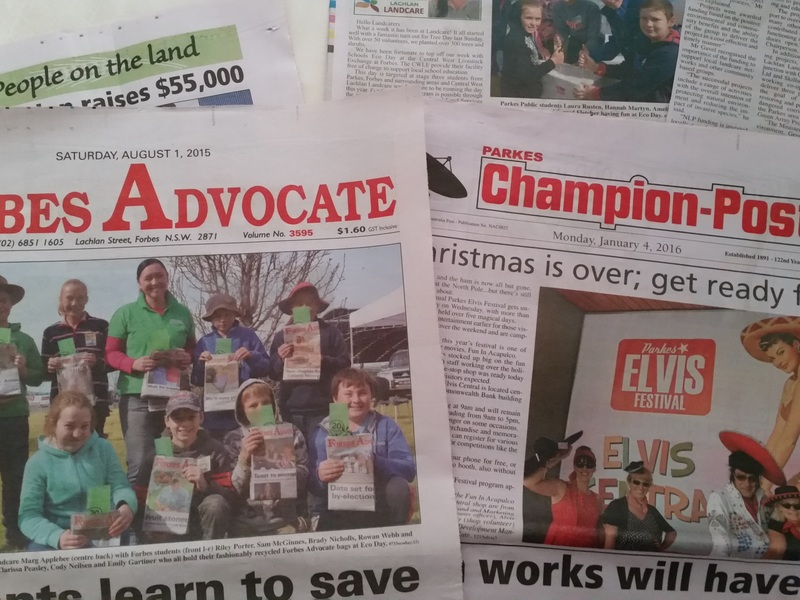 2016 is looking to be a fantastic year for Central West Lachlan Landcare with heaps of opportunities ahead over the next 12 months, including our Green Army Teams. CWLL have been successful with an application to work with three consecutive Green Army teams commencing in July 2016. This programme is aimed at 17 – 24 year olds who would like to train and work on environmental projects with the overarching priority for the project in our area of increasing the linkages and condition of our local native vegetation. Activities will include flora and fauna surveys, seed collection, plant propagation, revegetation and weed surveys with a target on Grey Box Grassy Woodlands for the first and second projects. Initially, we are hoping to hear from people who have local native species in their area who would be happy to have the Green Army Team in to collect seed over the next 12 months, with the plan to propagate our own local species to be used for planting back in our communities. Many of you may remember Mr Neville Schrader OAM, who made a significant contribution to our area through his knowledge of, and love of nature, in particular, birds. Neville was the editor and major contributor to ‘The Flora and Fauna of the Parkes Shire’ and his family did most of their ‘growing up’ in Parkes. I had the pleasure of working with Neville many years ago when he was a local environmental representative on a Lachlan based committee and when I wasn’t working for a not-for-profit organisation. He was the first person I knew that owned a DVD player! Yep, that’s showing my age. He was a passionate advocate for the environment, loved a good joke (and could tell them so fast, I don’t know where he had room to store them all) and loved his family. We are much richer for having him amongst us and think of his wife Shaydeen and family at this time. We are looking forward to being back in our building at Kelly Reserve, in March after repairs to our building are complete. The tarp that has been hugging our building looks like it is ready for release and that building is ready for a serious makeover. Do you have an idea for a grant that will benefit our local area that improves farming operations and has a positive impact on our environment? Go to our website and click on our survey link to let us know what workshops, courses and funding opportunities you would like us to pursue. We hope to bring together the results and take a closer look at our options to increase learning opportunities and make beneficial changes on the ground. To get you thinking, a few of the suggestions that we are putting forward involve farm planning, weed control, reducing chemical use, security and surveillance, dam health, rural mental health, organics and water saving options. There are many other suggestions and we would love to hear your ideas as well. This survey should take less than five minutes – easy! If you are involved in farming in our area, please don’t forget the important meeting with Derek Schoen on 11 February at 6.30pm to discuss the future of Forbes, Mulyandry, Wirrinya, Alectown, Bogan Gate, Gunningbland and Parkes NSW Farmers branches.